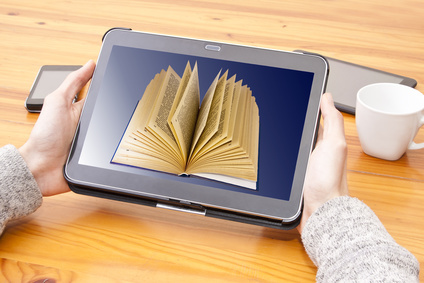 Authors and publishers compete with thousands of other e-books in the market today. It is a challenge for an author to figure out how to market your book, make it stand out above the rest, and to convert it into sales. A solid marketing plan must be put in place in order to ensure that your book will garner sales and generate income. 1. Know and identify your target audience. In order to zero in on the right people who will find your book relevant and useful, the target market should be clear to the author right at the start. 2. Have a budget and marketing plan. Part of having a solid plan on how to market your book is having a budget for marketing and promotion. This places boundaries on how far you should go with your marketing plan. Part of a well-thought-out marketing plan is to have specific objectives that are measurable, a tool for measuring these objectives, and the marketing strategies that would be used to make the book known to the reading public. 3. Have an distinct and interesting author identity. Part of selling a great book is having an interesting author background story. Part of the challenge of creating author identity is communicating your reason for writing and capturing readers’ interest with an author story that would resonate with them. If you are thinking of ways on how to market your book, there are many strategies to do so. However, there are some ways that are more effective than others. • Maximize social media platforms. Using popular social media sites is a great way to promote your book. Twitter, Facebook, Instagram, LinkedIn, Goodreads and Pinterest accounts should all be utilized to promote your book. It is important to carefully plan the content you will share on these platforms. Be as creative with your accounts as possible. For instance, you can ask your readers to send images of them reading your book and to post it on Instagram. Ask questions connected to your book topic or ask for reader’s opinions on book-related topics. Have them comment on your Facebook page. Another effective way to promote your book is to have giveaways on Twitter or Goodreads. You may also contribute advice and ideas related to your book on your LinkedIn page. • Be a guest blogger. One effective way to increase your visibility as an author, to promote your book and to build your reputation as an influencer is to do guest postings frequently.